The heat is definitely on with the temperature here in the UK a balmy 89 degrees and rising! After the wettest April in living memory the gardens resemble plants on crack cocaine and the poor bees are starving because of no flowers, ie no food. I took a few days off from writing and tweeting and facebooking and blogging. My friend, August, calls it taking a mental health break and I absolutely get what she’s saying. Reckless Nights In Rome is still ticking along. A Stormy Spanish Spring is ready to rock for a July launch and Desert Orchid is rocking. The things I do to this pair has had me crying (in a good way) and I LOVE Khalid who Charisse calls the ‘Rock Star’. How are things with you guys? What are you working on and how are you doing? How’s the weather with you? Hot, cold, wet or dry? Is it just the Brits who care about the weather? Next weekend is the Elizabeth II, the Queen’s 60th Anniversary of when she took the throne and the whole country is having a party. This is a once in a lifetime opportunity for us to celebrate a wonderful woman who put her country and duty before herself. Then the UK is hosting the Olympics at the end of July this year and the torch is running through my town this week! I shall post photos! 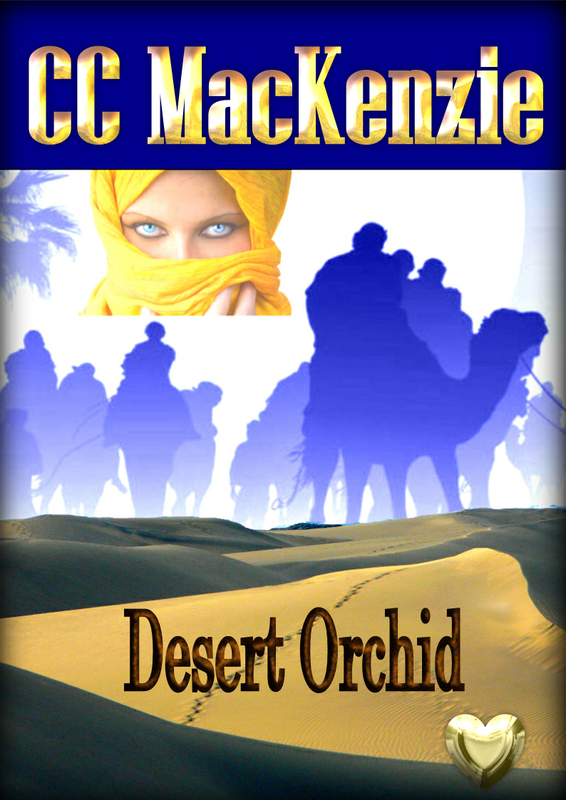 This entry was posted in DESERT ORCHID FREEBY FRIDAY, MANIC MONDAY and tagged A Stormy Spanish Spring, author, blog, blogging, cc mackenzie, comtemporary romance, Desert Orchid, Desert Prince, entertainment, fiction, heroines, love, MANIC MONDAY, Queen Jubilee, Reckless Nights in Rome, Sheik, The Olympics, weather, weddings, writer, writing by CC MacKenzie. Bookmark the permalink. Yep, it’s all happening here this year and we’ve just had a heatwave for all of seven days. Could that have been our summer? One of these days I’m going to do a post about the weather. I thought it was just us who obsess. It’s always a hot topic of conversation! Hugo will be out there in the crowds taking the photos of the Olympic torch. I’m writing! Hey Christine! Glad you took some mental health days and got some rest from all the social media stuff. We all need those every now and then. It’s been in the 90’s in Texas. But it’s been windy some too, so not too bad. It’s storming horribly outside right now though. It seems there’s a lot going on in your neck of the woods. How fun!